When you think of decreasing the carbon footprint and being environmentally-friendly, Las Vegas, Nevada, surely does not come to mind. 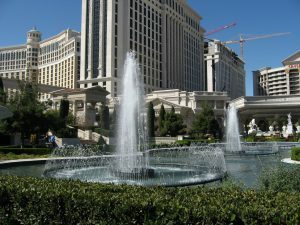 But you would be surprised to hear that Sin City is on the right track for becoming a Green City because there are a few resorts and casinos which have created plans for maintaining sustainable, eco-friendly practices. The city’s primary income comes from travel and tourism, so these environment-related issues need to be addressed. 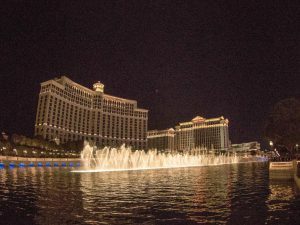 MGM Resorts International, Las Vegas Sands Corp., and Caesars Entertainment are the largest organizations in Nevada, and they have decided to adopt these sustainable policies so that their footprint on the environment can be lessened and that natural resources can be conserved. Here are three hotels which epitomize luxury and sustainability combined, and which have set the example for other hotels around the world to follow. US Green Building Council awarded this hotel with a LEED Gold Certificate (LEED stands for Leadership in Energy and Environmental Design). The Vdara Hotel and Spa is an all-suite hotel where there is no gaming, but it is situated next to the world famous Bellagio, so it offers plenty of opportunities to experience the thrills of a casino. One of its highlights is the non-smoking policy. They pride themselves on using low wattage lighting, wooden products coming from forests which are managed responsibly, the plants native to the area and successfully implementing their recycling program. Even though it is probably the most luxurious hotel in Las Vegas, the Mandarin Oriental is also one of the most sustainably eco-friendly hotels there, as well. The biggest part of this hotel was made using reused and recycled material coming from the Boardwalk Hotel and Casino – 85% to be more precise. They have a sushi bar serving fish coming from sustainable sources, heat-blocking façade, low wattage lighting, and many other green features. If you want to experience the ultimate eco-friendly hotel environment, look no further than ARIA. Just like the Mandarin Oriental, 85% of the hotel was made using recycled materials from the building that had stood there before. Any leftover food is sent to the local farmers to be reused. The swimming pools have a constant temperature of 28 degrees due to their power plant which recycles excess heat. The bathrooms are equipped with low-flow shower heads which help save almost 190 million liters of water each year. The oil used in cooking is later all converted into biofuel which helps produce heat and electricity for the hotel. Their limousines going to and from the airport run on natural gas and reduce CO2 emissions by 30% compared to those running on gasoline.